What's Next for Dice Masters? Have you ever written something weeks ahead of time?If you would have shown it to people weeks ago, it would probably be well received. But now, new information has come about, that kinda makes what you wrote about a waste. Sigh… that’s what I get for working ahead. I was going to look at what other properties could make good Dice Masters expansions. Now, with the initial feedback from Yu-Gi-Oh, I think I have a much better idea of what will work and what won’t. I will state my criteria, and give a couple of my own ideas of what properties could be utilized by Wizkids for future Dice Masters sets. (I know that there’s a lot of work that goes in to acquiring licenses to release games based on existing properties. For the sake of argument, we will ignore trying to figure out how Wizkids would acquire these licenses or if the licenses are already owned by other companies. )Chris touched on this subject, and opened up some discussion in the comments section. Little did he know I had something like this in the works. So he gave me a perfect lead-in without even knowing. Thanks Chris! Anyways, let’s take a look. The first thing that jumps out at me is how widely Yu-Gi-Oh! Dice Masters has been disregarded and most people are already writing it off before the official release. Why? It’s certainly not because people think the game itself is bad. It’s because it’s “Yu-Gi-Oh!”. YGO (as we've come to abreviating it around here) is viewed in such a different light than the superhero worlds of Marvel and DC. YGO is about the heroes and villains controlling beasts with incredible power to do battle. Whereas with Marvel and DC, the heroes and villains are the ones with incredible power doing battle themselves. I think another set of Dice Masters that deals with monsters is what the YGO set needs, to help show its relevancy. For those who haven’t seen or heard, the YGO rule book substitutes the words “fielded” and “characters” with “summoned” and “monsters”. Wizkids has come out and said that when you are playing with Marvel or DC Dice Masters, these terms are interchangeable. All sets are playable with each other, but I think this terminology could show a brand split in sets. You have your “fielded characters” sets, and your “summoned monsters” sets. This initial disregard for YGO from the fans also shows how the superhero community of Dice Masters players are very particular about what expansions they are willing to embrace. So, where can Dice Masters go from here? 1.Pokemon.I don’t think there’s a better property to match with YGO. The card games are sold side-by-side in department stores, and there’s a huge crossover in the fan base of each. There are a lot of interesting mechanics Pokemon could introduce, such as evolution. If anyone has ever played the Pokemon video games, you know that it’s all about leveling up your Pokemon, and evolving them to higher forms. What if a fielded Pokemon on its level 3 die face reduced the purchase cost of its evolved form? You could denote this easily by printing on the Riachu card, “If you have an active Pikachu at level 3, reduce Riachu’s purchase cost by 1.” I would use the "summon monster" terminology for Pokemon, in order to emphasize its compatibility with YGO. Take note, there was a couple year gap between Pokemon’s break in to mainstream media, and YGO’s. Like many Dice Masters players, that couple year gap is when I “grew up” and got out of things like Pokemon, and moved on to more evolved (pun intended) video games and card games. Pokemon has a bit of nostalgia attached to it for my generation and could be just what Wizkids needs to drive us superhero fans of Dice Masters over to try the “summoned monsters” expansions. 3.G.I. Joe.This one surprised me, when someone suggested it. But the more I thought about it, the more it made sense. G.I. Joe has roots in Marvel comics, and is still an ongoing comic book property today. (Although now it’s published by IDW.) There are some very colorful characters like Snake Eyes and Cobra Commander. These are characters that take the field of battle. It’s a no brainer that they would use the “fielded characters” terminology. At first, it may raise eyebrows to have a regular Joe soldier be able to deal as much damage as member of the X-Men or Avengers, but it can easily be explained away with the high-tech weaponry they have access to. Plus, who wouldn’t smile at the sight of Captain America fielded with a bunch of Joes all attacking together? I don’t keep up with box office numbers, but I know there was recently a G.I. Joe movie. 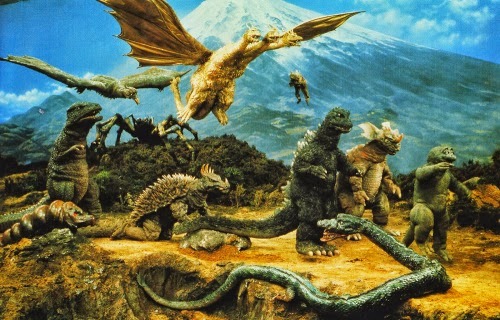 Maybe an expansion like this could ride on the coattails of the movie’s success. 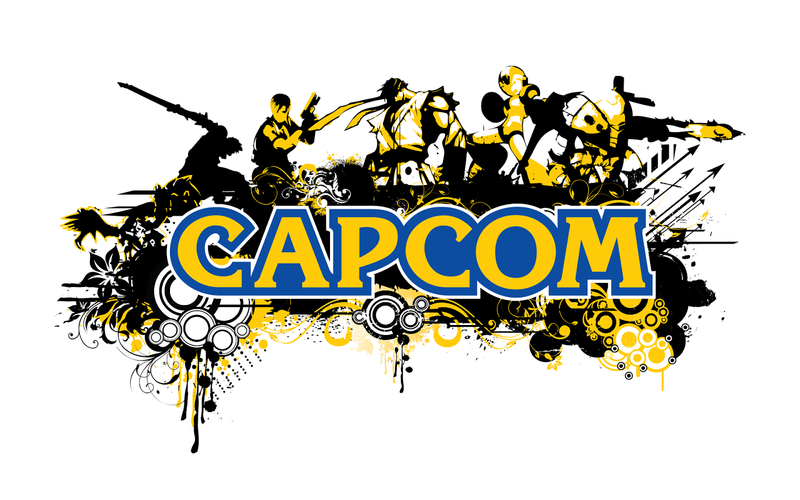 4.Capcom.That’s right, the video game company. Hear me out. First off, Wizkids has made Street Fighter Heroclix in the past, so there’s some familiarity there. Second, there’s a series of video games called “Marvel vs Capcom”. (Side note: Before those games,Capcom released a series of arcade fighting games focused solely on Marvel super heroes and the X-Men. Capcom also released a side-scrolling game on Super Nintendo called“Marvel Super Heroes: War of the Gems”. I'm a sucker for side-scrolling beat 'em ups. So, Capcom has some deep roots crossing over with superheroes.) Characters like Street Fighter’s Ryu, Ken, Akuma, and M. Bison would be a perfect fit, but others like Mega Man (another favorite of mine), Arthur (from the classic “Ghosts ‘n’ Goblins”), and even Leon Kennedy (of Resident Evil fame) would all be likely candidates. A Capcom Dice Masters set with both serious action characters and fun playful fighters could potentially bridge a gap between Marvel/DC and YGO. I’d stick with the “fielded characters” terminology simply because of Capcom’s history of crossing over with superheroes. I’ve saved the best for last, in my opinion. 5.Independent Comics.Damn right independent comics. Bring on Spawn, Savage Dragon, the WildC.A.T.S., and Invincible from Image comics. Hellboy, Robocop, and The Mask from Dark Horse. X-O Manowar, Rai, and characters from Harbinger from Valiant comics. Witchblade and The Darkness from Top Cow. Red Sonja, Vampirella, Turok, and the Green Hornet from Dynamite. If you really want to get funny, throw in Archie and Jughead from Archie comics, and the Tick from New England comics. *picks mic back up* I think this could help SO many people out. This gets the name out there for some of these smaller publishers, to show fans that their characters and stories matter too. Marvel and DC aren’t the only dogs in the yard. As if these smaller publishers are saying, “Our heroes can go toe-to-toe with their heroes.” For Wizkids, this is one direction they can expand their superhero sets, while giving their fans a breath of fresh air. I’m sure it wouldn’t sell quite as well as Marvel and DC, but I can almost guarantee that there would be nowhere near the dropoff that appears to loom for YGO. Especially if they include Spawn, and possibly characters like Judge Dredd and the Crow. Maybe even Watchmen (although that was released under Vertigo, which is now owned by DC. So I don’t know if DC owns the rights to them or not. If so, we might see the Watchmen as characters in a DC set. How cool would that be?) Early in Heroclix's life, there was an Indy Heroclix set. So, something like this is possible. Make it happen Wizkids. So, there it is. Five new properties I would love to see Wizkids explore, while staying within the confines of the sets they’ve already released. Who knows, Dungeons & Dragons may open up doors to Lord of the Rings Dice Masters, Game of Thrones Dice Masters, Chronicles of Narnia Dice Masters… maybe even Warcraft Dice Masters. Licensing deals aside, the future really is wide open for Dice Masters. I’m excited.Roll on. Nice write up with great thoughts Randy. I think aside from Heroclix, Wizkids can take the cue from UDE's-once-dead,-but-now-revived-as-an-LCG card game, VS System. Marvel was the first, then came DC, then there's Hellboy. Hellboy would fit pretty nicely in DM, and I agree with Darkness, Witchblade, Spawn, they would make mighty fine additions too. Though with Star Wars episode 7 coming up soon, Marvel would probably want to abuse its popularity too. And it would make sense, Jedi, Sith, Rebels, Imperial Troops, with Force powers represented as action dice..
Agree on Pokemon, along with Digimon it could be a crazy as heck. Centurions, Silver Hawks, Thunder Cats, the classic TMNT (not Nick's), Ghostbusters, M.A.S.K., Battletoads, He-Man, Transformers, Bravestarr, etc. Venture Brothers: An animated series that is a parody of Hardy Boys/Johnny Quest, GI Joe and superheroes. The show has been around for over 10 years with 5+ seasons, so there is more than enough characters to make a set or two. Who wouldn't want to make a team based around; Team Venture (original or current), The Order of the Triad, The Impossibles (Fantastic Four), The Revenge Society, Office of Secret Intelligence (GI Joe), or The Guild of Calamitous Intent? I would love to make a villain deck using: The Monarch, Mrs. Dr. Monarch, Henchman 21, Henchman 24, Tim-Tom, and Kevin. All the Sidekick die can be The Monarch army of minions. Im really hoping for a star wars set. Also even though it didn't sell well(I saw the same booster box on the shelf for 2 years) I'd like to see them do an assassins creed set like in heroclix. That's just a personal one but its not completely out of the relm of possibility. A whole Venture Brothers set would be nuts. I'd buy it. I'd even just settle for a single fan - made Brock Samson card. So if someone out there wants to make one for me, *wink wink*, I'd probably promote the heck out of it. 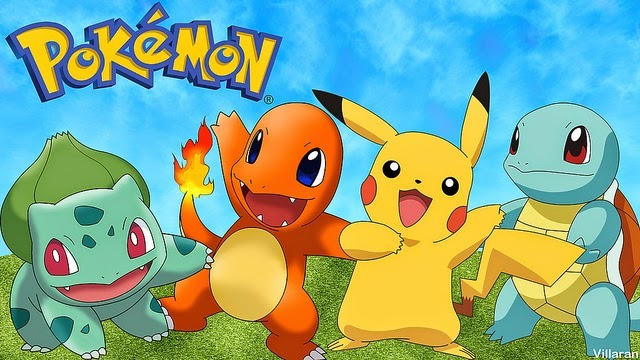 -Pokemon, from what i know is very strict with their licensing so i put them as highly doubtful. -Star Wars has gaming licenses out with another company, so i don't know where the line is drawn on that. They did just restart a Star Wars comic book though under marvel. Possible but I'm not going to hold my breath. -GI JOE, with the movie a few years ago being a flop, is a possible dead market. Although i would love to see it. -Godzirra is possible but i dont see much merchandise around other than the spike with the new movie. -PC / Console gaming ventures. Heroclix has already touched on small sets of these such as DOTA2 (Lots of possibilities there), Street Fighter, Assassins Creed, Bioshock, Halo, and gears of war. Although some of these were small sets, it leaves future licenses as a possibility. -Lord of the Rings / The Hobbit. Clix had a few sets, and with the number of characters available i could see multiple sets. DC - Green Lantern set of all factions, possible multiple sets needed.